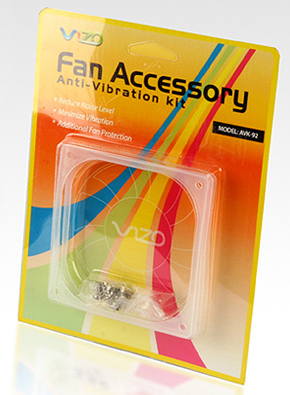 VIZO Fan Accessory Anti-Vibration Kit is designed to reduce noises caused by operating case fans. Ultra-light Silica Gel material absorbs vibration generally caused by excess noise while adding additional protection to your case fan. VIZO Fan Accessory Anti-Vibration Kits are available in all standard 120 mm case fan.